Newlyweds seeking to dive into marital life with an Indian Ocean honeymoon need look no further than the Maldives. 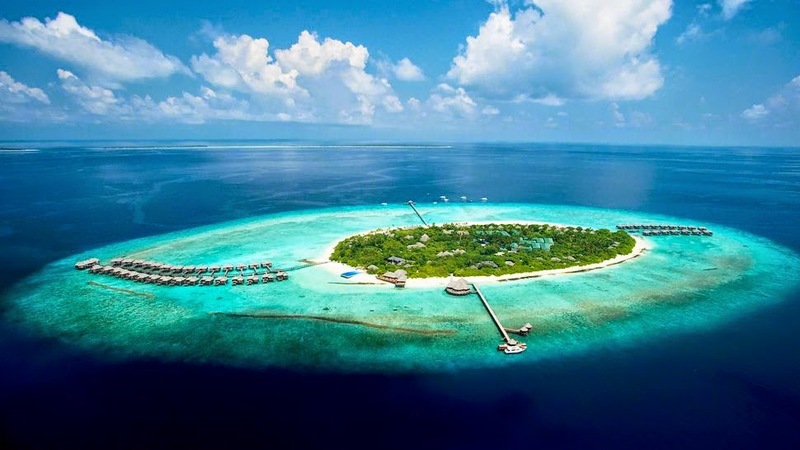 The Indian Ocean winners of the 23rd World Travel Awards have been revealed, with the Maldives recognised as the region’s best beach, diving, and honeymoon destination. Maldivian resorts were awarded prizes as the best overall destination – with Baros Maldives (Maldives’ Leading Luxury Hotel Villa 2016, Maldives’ Leading Boutique Resort 2016 & Indian Ocean’s Most Romantic Resort 2016) in particular singled out for its romantic atmosphere – while Maldives Airports Company Limited (Ibrahim Nasir International Airport – Indian Ocean’s Leading Airport 2016) and Trans Maldivian Airlines (Indian Ocean’s Leading Seaplane Operator 2016) were recognised as leaders in aviation services. The archipelago’s more established resorts swept the boards, with Kurumba Maldives (Maldives’ Leading Resort 2016 & Indian Ocean’s Leading MICE Hotel 2016), The Sun Siyam Iru Fushi (Maldives’ Leading Family Resort 2016 & Indian Ocean’s Leading Family Resort 2016), Constance Moofushi (Indian Ocean’s Leading Dive Resort 2016), and Hulhule Island Hotel (Indian Ocean’s Leading Leisure Hotel 2016) all picking up prizes at the gala ceremony held in Zanzibar’s Diamond La Gella Dell’est resort. A newcomer to this year’s winners list was aaaVeee Nature’s Paradise (Indian Ocean’s Leading New Resort 2016) resort in Dhaalu Atoll, which won this year’s ‘Leading New Resort’ award for its back-to-nature ethos, promising a return to the pioneering style of the Maldives’ earliest tourism ventures. For those seeking further guidance when planning their trip to paradise, the combined votes cast by the public and industry experts found PER AQUUM Huvafen Fushi (Indian Ocean’s Leading Luxury Water Villa 2016) and JA Manafaru (Maldives’ Leading Hotel Suite 2016 & Indian Ocean’s Leading Hotel Suite 2016) to have the Indian Ocean’s best water villas and hotel suites, respectively. The World Travel Awards was established in 1993 to acknowledge excellence across all sectors of the tourism industry. It is recognised as the ultimate hallmark of quality, setting the standards to which others aspire. 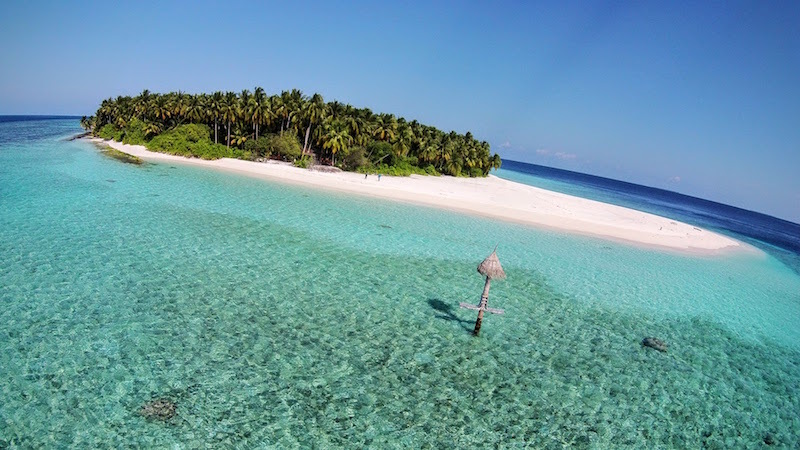 Elsewhere this week, the Maldives polled 2nd in the 2015-16 Telegraph Travel Awards, being joined by New Zealand and South Africa in the top three preferred getaways after 75,000 votes were cast by the British papers’ readers. Located in the North Male’ Atoll, Huvafen Fushi is a naturalist’s paradise. You can reach this destination, 30 – 40 minutes by speedboat from Male International airport. 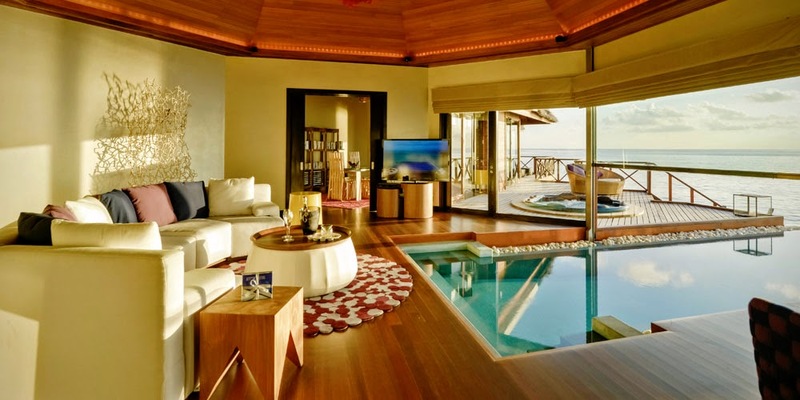 Featuring luxurious overwater and beach bungalows with private pools, and 6 dining outlets. Dip your toes in warm, crystal clear lagoon, dine in amazing settings, snorkel one of the Maldives best house reefs and washout on the pure white sand. Indulge yourself in an underwater spa room, where the colorful fishes glide past the floor to ceiling windows and the glass windows revealing the beauty of the reef. Each room comes with a sundeck, large flat-screen satellite TV, Bose sound system and DVD player. A good variety of watersports and night fishing is also available. Visiting Huvafen Fushi would be a chance to escape and relax in a secluded island paradise in the middle of the Indian Ocean.